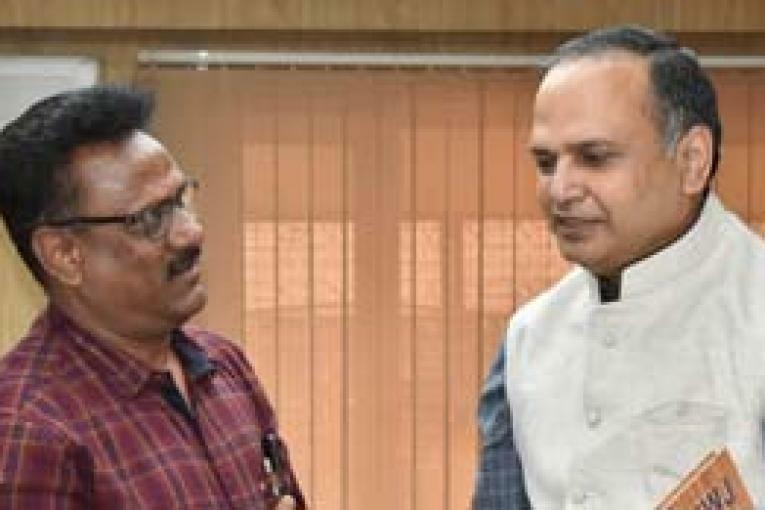 Hyderabad, Jan.21 (Maxim News): Chief Secretary S K Joshi today assured the journalists that the State government would strive to solve all their problems expeditiously. The Chief Secretary released 2019 Media Diary of the Telangana State Union of Working Journalists (TUWJ). When the working journalists brought to his notice about their problems, especially about free travel to journalists in the Metro trains, Joshi responded to their request positively. He assured the scribes that he would discuss the issue with the officials concerned and take appropriate decision. The CS also assured the media personnel that he would initiate stern action against the private and corporate hospitals, who were no honoring the Health Cards of the journalists if they provided details. He also complimented the TUWJ for bringing out the Media Diary.